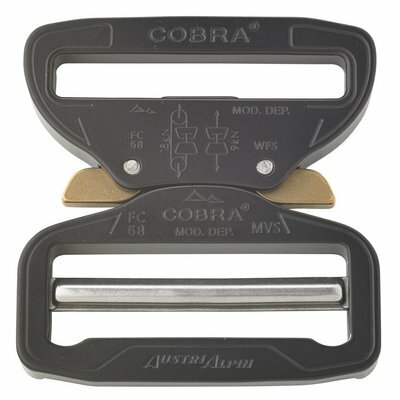 The locking mechanism of the COBRA® QUICK RELEASE buckle is patented and guarantees highest safety. Neither is it possible to open the lock one-sided nor under load. 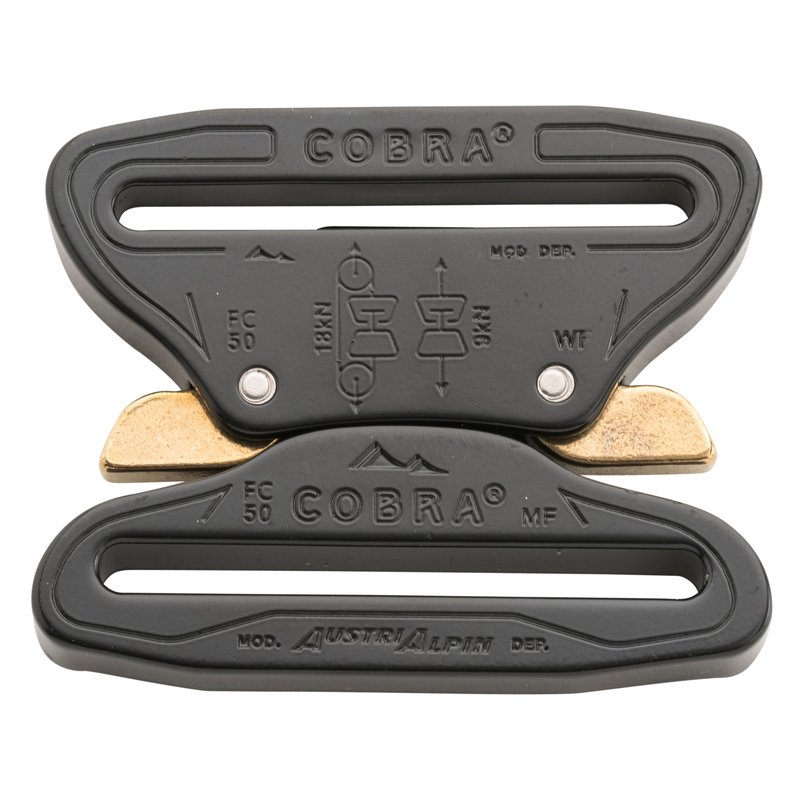 Thanks to the identical locking mechanism, all COBRA® THE ORIGINAL sizes are compatible. In combination with a fitting webbing, the minimum guaranteed load capacity is 18 kN in loop configuration.